Last Thursday, I had the pleasure of being on board for the premiere sail of the new Duchess Lounge...aptly referred too as an oasis on the sea. The Duchess Lounge features an extensive cocktail menu, light fare, music and breathtaking views of the New York City skyline. 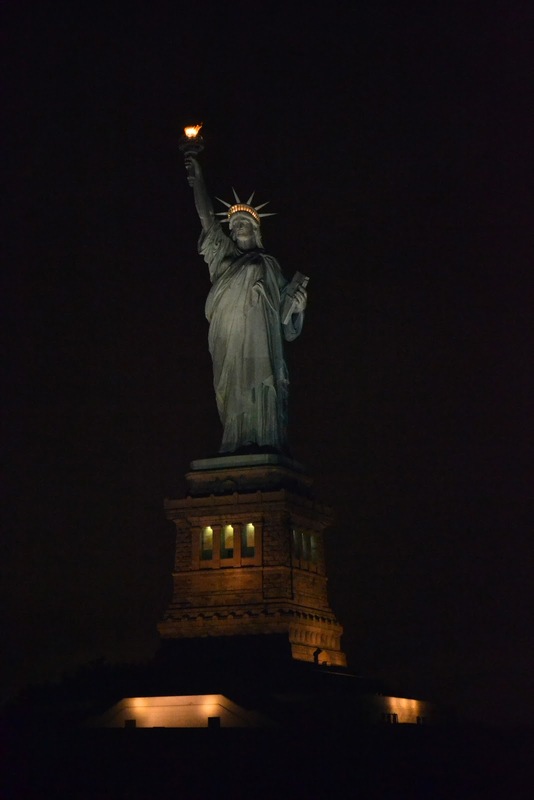 The three-hour cruise departs at 7pm and returns to Pier 81 at 10 pm, after passengers enjoy an up-close stop in front of the Statue of Liberty and a sail along the East River. Feel the wind in your hair while experiencing the outdoor deck, enjoy the atmosphere of the yacht’s floating rooftop, where guests can lounge under the stars. The Duchess Lounge is an ideal setting for groups of 8 to 100 and is available year-round for birthdays, company outings, summer socials, and other festivities. I was so busy taking photos of the breathtaking views I forgot about the Duchess interior lol. See more photos below! Want more info, in need of a swanky night?? Visit www.worldyacht.com.